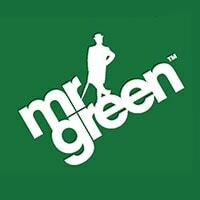 We Check Out NetEnt’s Latest “Cluster Match” Grid Slot Wild Worlds! 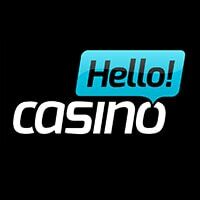 Hello Casino has just added the latest NetEnt slot Wild Worlds to their casino. 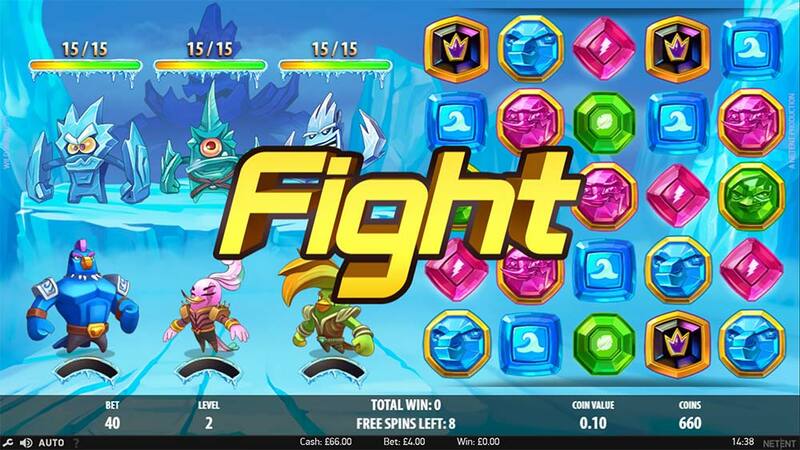 Hailed as a new “Cluster Match” style slot this cartoony superhero styled release looks like combine the popular grid style tumbling reels (avalanche) slot with RPG elements (hit points, special attacks, bosses) that reminded us of the very early fighting fantasy releases with monsters and bosses to defeat. The base game in Wild Worlds uses a 5×5 grid layout with symbols tumbling from above, the new Cluster Match format means there are no regular paylines, instead you are looking for 3 or more matching symbols either horizontally or vertically. 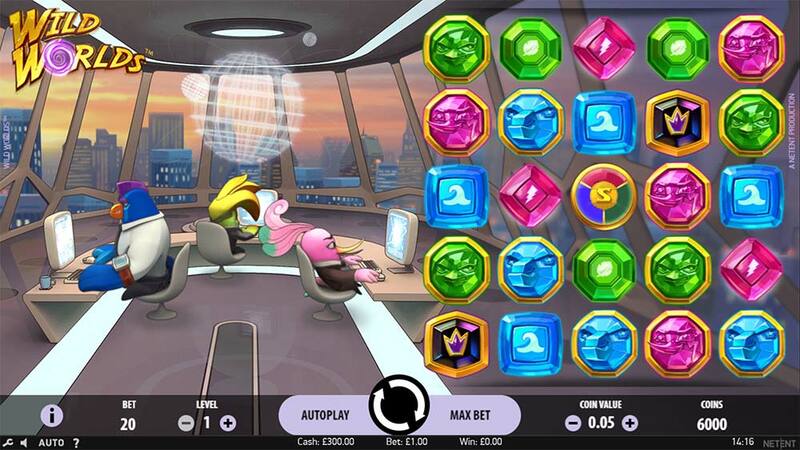 Along with regular wilds, there are a whole host of additional features which help to produce winning combinations, there are 3 randomly activated superhero features that clear out specific colours from the reels along with a new Hero Wilds feature which activates when wins are created with the higher paying symbols and transforms any of these remaining colour symbols into wilds. 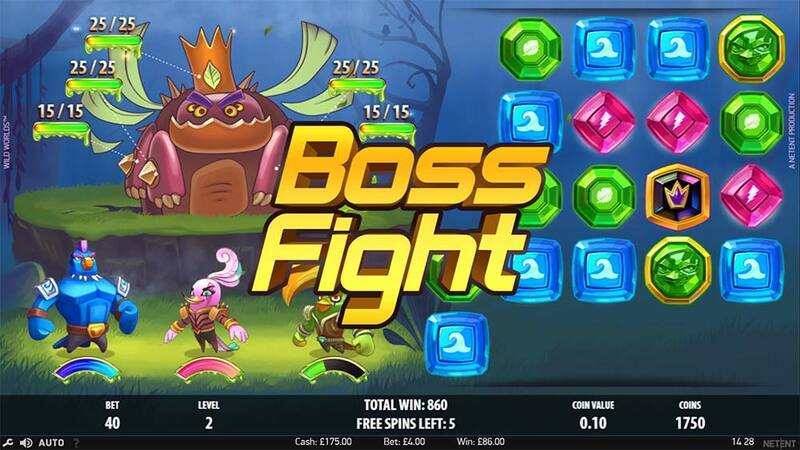 Along with these features, there are also 3 unique free spins rounds that all feature different wild mechanics, you get to fight mosters then bosses and if fully defeated move onto a new world with more free spins to try and do it again! Whilst there is a lot going on in Wild Worlds the core game is quite simple and once you understanding how the Hero Wilds interact the gameplay becomes easy to understand. 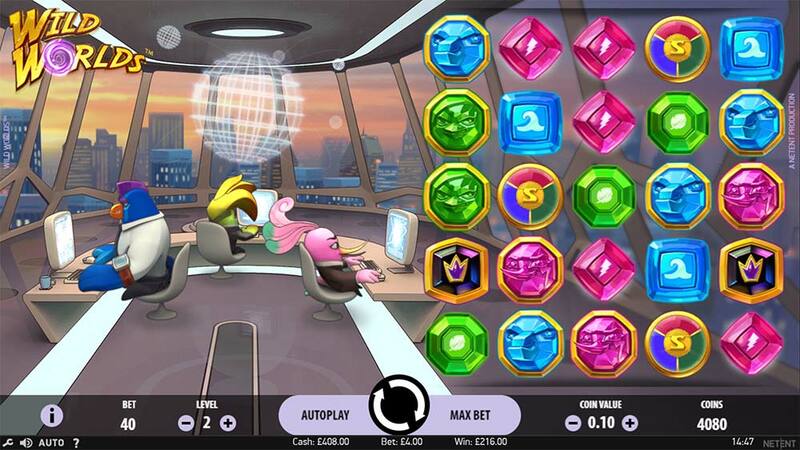 Even if none of it makes sense the bonus rounds really are great fun and quite tense as you do battles with monsters, chipping away there hit points with a limited number of free spins. We suggest checking out the gameplay video below to see just how everything works in Wild Worlds. When a win is created with the special Hero colour symbols (Gold Edged) any remaining symbols of this same colour are transformed into Hero Wilds on the reels. Randomly occurs on a non-winning spin, destroying 2 sets of the coloured symbols from the reels, allowing new symbols to drop into place and possibly create wins. 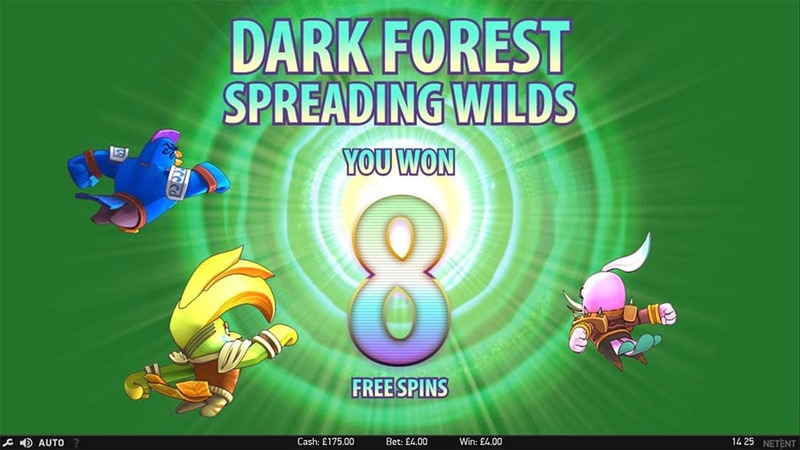 Free Spins are triggered by landing 3 scatter symbols on the reels, you then spin a bonus wheel to win 1 of 3 unique free spins rounds where you battle against monsters and bosses with unique added wild features. Wild Worlds is an interesting slot release from NetEnt and well worth checking out even if like us you aren’t a huge fan of the grid style slots. Whilst the base game can suffer from plenty of dead spins and the random hero powers don’t seem that effective when the Hero Wilds come into play this can cause a reaction of wins and extra wilds to appear that makes for some very interesting and exciting gameplay, the 3 unique bonus rounds are great fun even if you have no idea what’s going on with all the RPG elements, bosses and wilds flying over the screen. In our playtests, we generally managed to reach the main boss on each of the free spins modes, but at the time of writing have yet to defeat them although we have come close! Checking through the paytable we see that this leads to a new world with new bosses so, in essence, acts as a full bonus re-trigger, wins from our bonuses were in the range of 15x to over 100x stake. 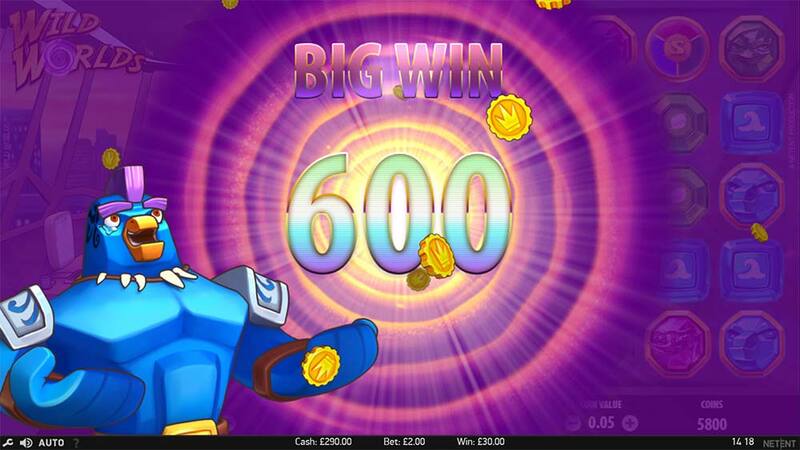 Overall definitely worth having a look even if you aren’t a fan of the grid style slots as the free spins bonus rounds are very different from other slots currently available!